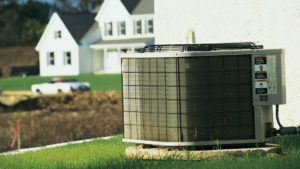 When it comes to heating and air conditioning Systems: What Do Homeowners Really Want? For homeowners investing in a new HVAC system, energy efficiency and comfort are important considerations but, what homeowners want most of all from their HVAC systems is a long lifespan and years of hassle-free performance, according to a recent survey conducted by Emerson Climate Technologies. The company’s 2015 Residential Air Conditioning Consumer Research Summary Report sheds light on consumers’ priorities when it comes to selecting air conditioning and heating systems. HVAC system reliability is the top attribute, and that’s understandable–homeowners want the peace of mind that comes from knowing they’ve purchased a good system and that it’s been installed professionally. The next most important consideration is the monthly operating cost of the unit–homeowners like to know that their system delivers the best efficiency for the dollar, and that operating costs will fall within a range they feel comfortable with. Interestingly, the purchase price of the HVAC system was not the top priority, which indicates that many homeowners are willing to spend more money on their systems, as long as it delivers the reliability, efficiency and comfort they are looking for.